The retinal photoreceptor cells are specialized neurons capable of phototransduction. The photoreceptor cells translate light stimuli to regulate glutamate and transmit the stimuli to retinal ganglion cells (RGCs). Although photoreceptor degeneration causes blindness, histological studies have shown that a subset of retinal cells survive after the degeneration. 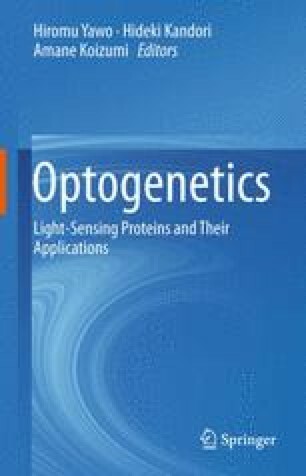 We tested whether a treatment using channelrhodopsin (ChR)-2, which is a unique light-perceptive ion channel, could restore vision in rats with photoreceptor degeneration. Our hypothesis was that the RGCs surviving post-degeneration can function as photosensitive cells by expressing ChR2. In neurons expressing ChR2, exposure to light results in an influx of Na+ into the cells, thereby causing depolarization, and subsequent cellular excitation. We transfected the ChR2 gene into an adeno-associated virus (AAV) that was injected intravitreously into the eyes of Royal College of Surgeons rats. We studied them for 16 months after the injection. To analyze the visual function, visual evoked potential was recorded and optical behavior was examined. The results revealed that ChR2 therapy restored the visual function. We also performed a local and systemic analysis for assessing the immune reaction to the virus, which showed that none occurred to cause immune rejection and inflammation following the intravitreous injection. To conclude, we think that ChR2 therapy is an important and practical method for treating photoreceptor degeneration.